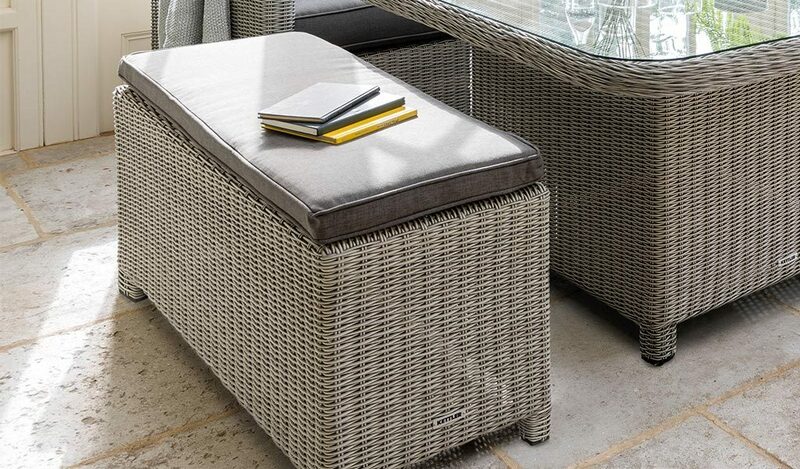 Make a garden furniture set your own with the Palma Accessories. Choose additional seating to relax on or your perfect table to dine on. Armchairs, sun loungers and recliners all include the handwoven, weatherproof wicker. Relax with a loved one in a romantic setting or enjoy a meal outdoors under one of the Free Arm Parasols or the Panalsol. At night, light up a Palma Fire Pit and toast marshmallows to end a perfect summer’s day. Wicker garden accessories and parasols to compliment your Palma outdoor set. Kettler Casual Dining Accessories are designed to mix and match with the luxury Palma collection. Complete your garden furniture set and relax in peace. 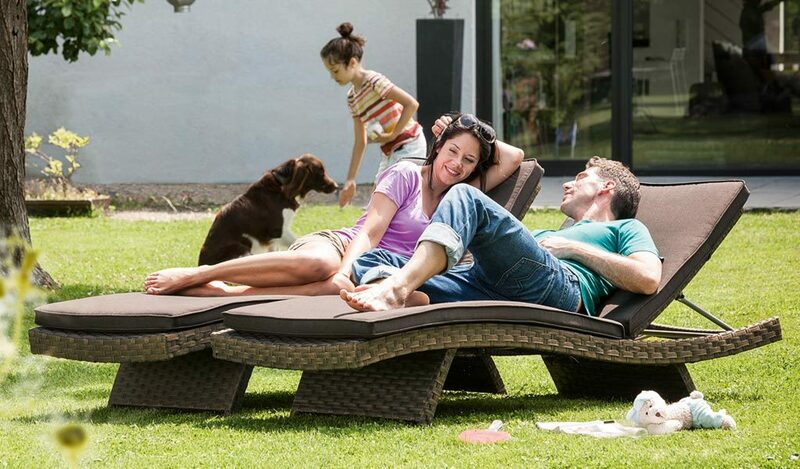 Relax under a matching Free Arm Parasol, available in different sizes. From 3.0m to 3.5m, the parasols are designed to cover you without being in the way. The Panalsol includes an adjustable canopy, putting the shade in your hands. 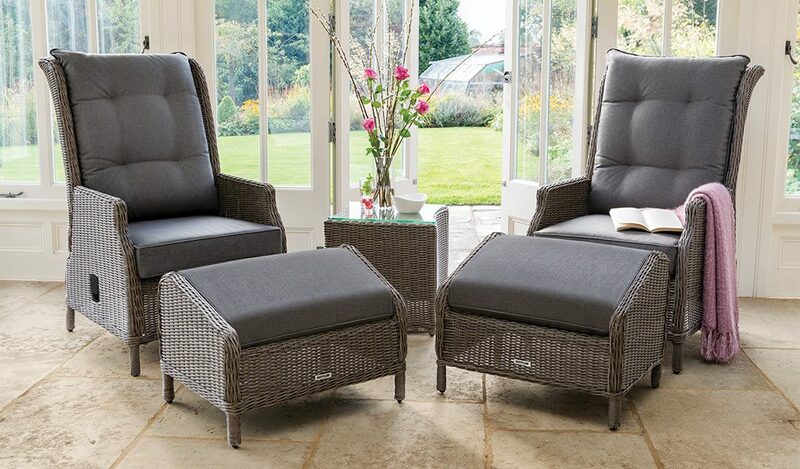 Add to your garden furniture collection with the Classic Recliner, Universal Wicker Lounger or Pod. 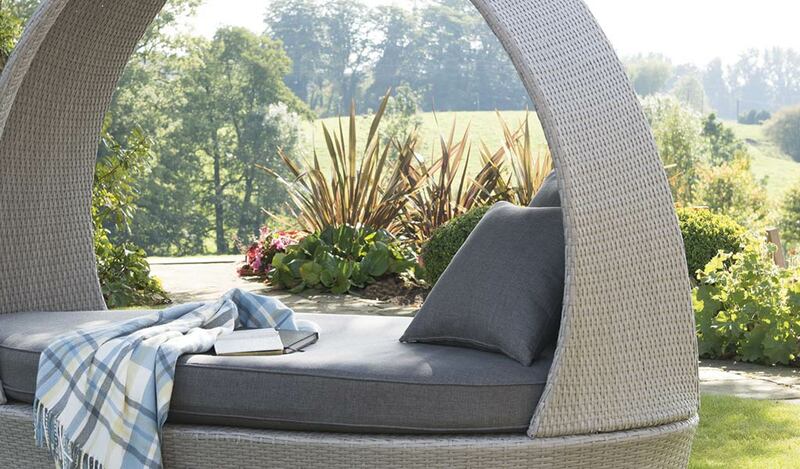 These wicker pieces come with comfy cushions and are designed to help you relax. Create your own set by combining a luxurious Palma Sofa, Palma Armchair and a choice of Casual Dining tables. Choose the slat top or the glass top table for both the Palma or the Palma Mini. Or you can bring some warmth to your party in the evenings with the Palma Fire Pit. 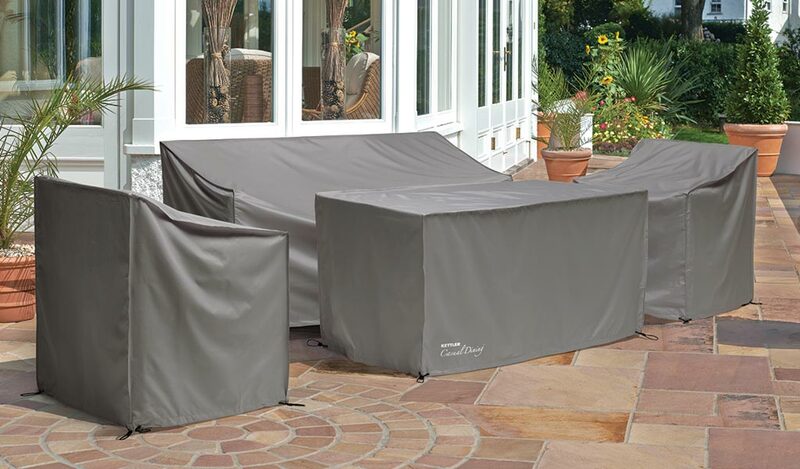 Weatherproof materials – leave outdoors all year round (except cushions). 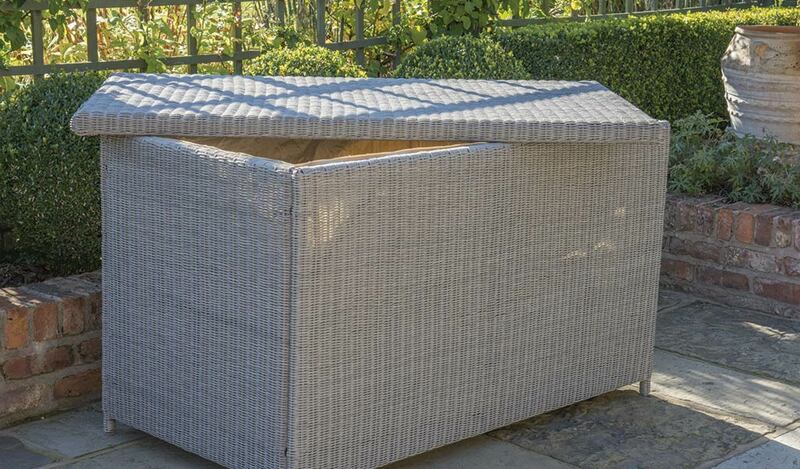 Available in White Wash and Rattan options. Free Arm Parasols and Panalsols available in a choice of colours.